Present your loved ones this Heavenly Dozen of Pink Roses with Fruits Basket for Celebration and let them taste the real flavor of your love. Online delivery of best wishes along with this Gift. 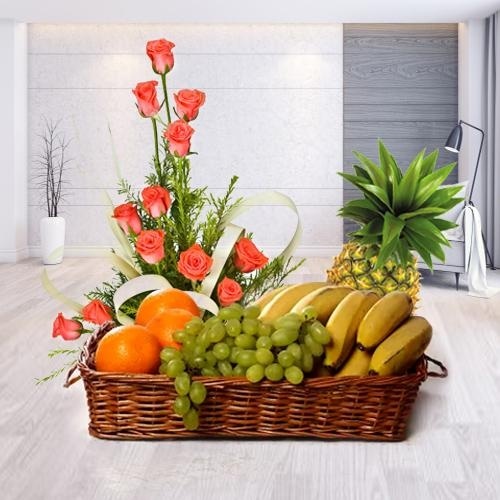 Make your loved ones day and send them a dozen of bright pink Roses and 1kg Fruits basket.